Beautiful First Lady Melania Trump made her debut on the international stage. 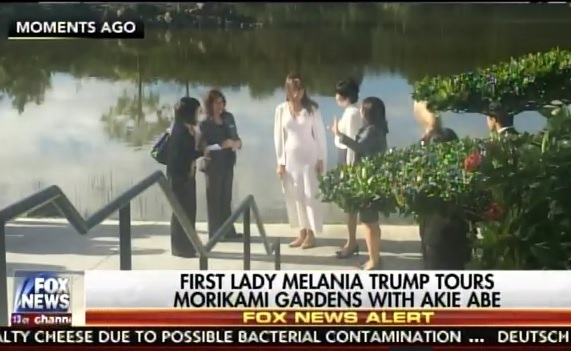 Melania Trump hosted the Japanese First Lady today in a tour of Morikami Gardens in Florida. It was her first official hosting of a foreign leader spouse. Later today Melania and Akie Abe will visit the museum in Delray Beach, Florida. It is so nice to have someone with such dignity, beauty and grace as US First Lady.